Hi! My names is Yasmin I read 90% of the time, the other 10% I spend on obsessing over youtubers ;) I live in a small village in Belgium, one that no one has ever heard about :) I write reviews so please Follow me! I won't dissapoint you Have a Book Life! Their first affection happened, when Park caught Eleanor reading along with his comic books. He was annoyed at first, but still couldn't help himself from bringing comic books along for her to read. They started talking and their friendship was growing. Their feelings for eachother kept developing. But their love story wasn't without difficulties and certain complications. Richie had no idea Eleanor and Park were involved in a loving way, and Eleanor wanted to keep it that way, because he didn't approve. But towards the end of the story, right when Eleanor and Park were fully commited to eachother. Richie finds the comic books, the cassette tapes and all the prove. He exploded and Eleanor was forced to leave. Will she? And will their love story continue the way it was? Or will they be forced to forget eachother? 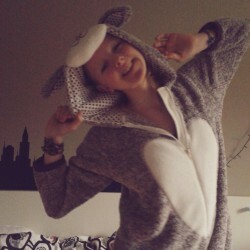 Eleanor: Eleanor is a shy, chubby loser who wears man clothes and is the worst at compining clothing pieces. No wonder Park shows no interest at all. But she doesn't care in the beginning, she thinks he's a stupid Asian boy, anyway. Park: Park is a boy who's friends with the cool kids, but he's still nothing like them. He's kinder, sweeter and not that fond of himself as they were. Others like Richie and Tina: are just doi'g everything they can to kill their love, without success. I read this book in less than 48 hours, this book is almost impossible to put down, the story speaks to you and tells you to keep reading. It keeps the readers interested till the last page. 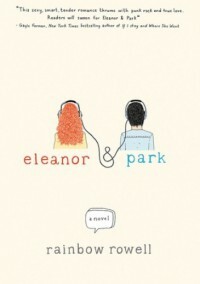 Eleanor and Park are the cutest ever! And the story haunts you till weeks after reading! I for one, can't stop thinking about it! I recommend this book for any Romance, cuteness loving person!